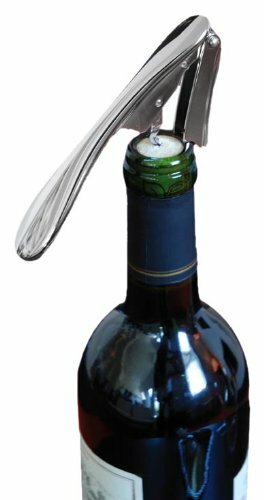 The chromed metal Garçon corkscrew features nice curves, pleasant handling and easy removal. We have created the perfect "Garçon" … to open all your bottles! It is constructed of chromed metal. The design is patented. It is also available in metal and stainless steel with special mat black coating. If you have any questions about this product by L'Atelier du Vin, contact us by completing and submitting the form below. If you are looking for a specif part number, please include it with your message. LAGUIOLE BY FLYINGCOLORS Sommelier Professional Waiter's Corkscrew, Cow Bone Handle, Wooden Gift Box. Sommelier Knife, Corkscrew, Foil Cutter, and Bottle Opener.